The job market can seem daunting, especially to those who lack the proper training and skills. For anyone who loves computer science, a coding bootcamp may be the perfect solution. It’s also a great chance to refresh your existing programming knowledge. In the end, the more education and grit that you have, the less treacherous the job market will seem. Selecting where you get your education from is just as important as what you will be learning. Programs may boast a 90 percent job placement rate, when this may not be the case. Don’t rely on myths and misinformation you read online. Here are five things you may have gotten wrong about coding bootcamps. You may have already decided that you do not fit in with what you “think” a traditional programmer looks likes. You are not up-to-date on the latest tech news and carry your laptop with you everywhere you go. 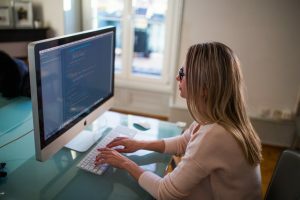 This is all wrong, because the reality is that anyone can be a coder; Newbie or seasoned professional, male or female – whoever puts in the hard work can find success. 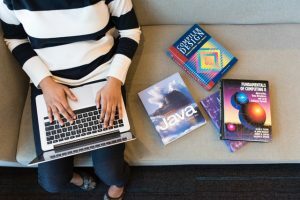 Organizations such as Girls Who Code, Accenture, and many more dedicate themselves to related causes. They are advocating for young girls around the world and working to fix the gender gap in the technology industry. Likewise, it’s not just a young person’s game either. Seasoned professionals also have great potential to advance their preexisting knowledge at a coding bootcamp. Technology changes fast and employers look fondly upon candidates who take the initiative to learn new skills. One critique you may hear over and over again is that coding bootcamps don’t guarantee a career upon graduation. While that’s true, any school you attend cannot promise its students a job. The job outlook is the same. Even if you complete medical school, you are not guaranteed a position as a doctor right away. If you truly wish to get a job after graduating from any course, boot camps included, you must do the work and use every tool at your disposal. Some of those include networking events to help you make useful connections you can utilize in the job market. Career counseling can also help guide you in case you’re not too sure about which direction you wish to go in. This may already sound like a broken record, but you will have a much greater chance at success if you use every resource you have. While researching coding bootcamps, make sure the ones you discover teach what they promise. Sometimes ads can seem too good to be true. Yes, you must spend your time wisely while attending a bootcamp, but you must also make sure that the program you choose teaches the right material. The less you know about a school, the more research you should do. The Consumer Finance Protection Bureau and the Federal Trade Commission (FTC) help regulate programs that claim to be something they’re not. Along with state attorney generals, these organizations stop illegal practices from occurring. You don’t have to make the decision alone. Asking friends and professionals who have experienced similar situations can be incredibly helpful. Even though there are several organizations that keep an eye out for consumer interest, this doesn’t mean you shouldn’t make an educated choice. Only by doing your own research can you make the right choice. Does your schedule not allow you to make the trek to campus and back on a daily basis? While an in-person environment boasts many advantages, online classes may be the right choice for you— And if you pick the right one, it can be just as good as an in-person bootcamp. If you can only attend an online program, you have nothing to worry about. Online does not mean a dip in quality. You can often learn the exact same material as if you were there in person. Sure, you may not be able to ask your classmate for a pen, but through other online tools like Slack, email, or video conferencing, you will always have your questions answered. You are not alone in your coding journey. A virtual coding education can still be truly meaningful. 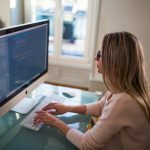 How can you make an educated decision about attending a coding bootcamp if you don’t even know if it’s right for you? The good news is that there are many free websites for those who are on the fence, including Free Code Camp and Codecademy. Once you complete a few exercises and get the feeling that you could be a great programmer, you can always attend a bootcamp and commit to a full-stack course. A coding bootcamp can help you get the necessary, in-depth educational experience you need. Remember, these programs teach you much more than just the basics. They also provide knowledge and assistance from experienced instructors or mentors whom you can contact to answer your questions. In the end, taking the time to choose the right bootcamp can save you a lot of time and heartache. 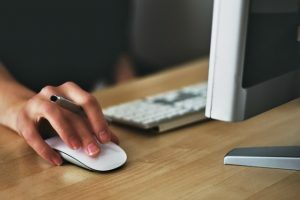 While the internet can be a great tool to expand your knowledge, you should still practice caution when making large commitments to your education. It remains your responsibility alone to choose the right school for you. Having experienced professionals and friends provide advice can make you feel less lonely. A whole new world of knowledge can be yours once you do your due diligence. Once you find out which coding bootcamp is for you, you can become an unstoppable coder if you work hard. Start the process today!